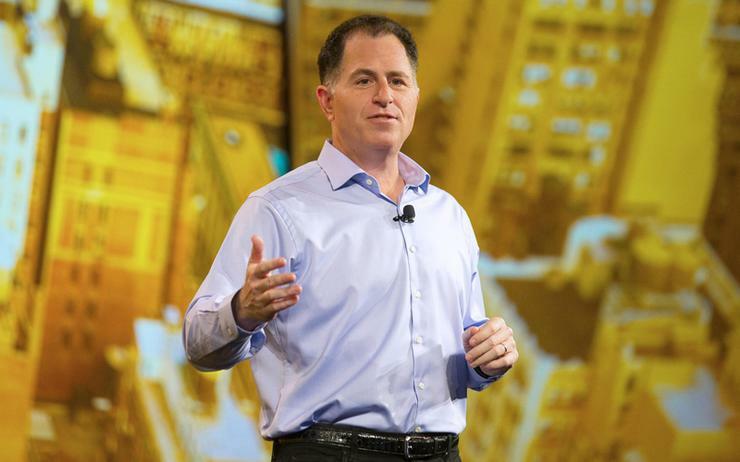 First off, it's best to outline the structure at Dell since its mega US$67 billion acquisition of EMC in 2015. So, first there is the flailing former servers and computing division of Dell, which is now Dell Client Solutions Group. Then there is Dell EMC, which focuses on data storage and services. Then there is VMware, the high-growth cloud computing and platform virtualisation software vendor EMC acquired in 2004 for US$625 million. The publicly traded Dell went private in 2013 following a US$25 billion deal with private equity business Silver Lake. Now, in order to re-enter the public markets, Dell must acquire back something called tracking stock. So Dell established this stock after the EMC merger for the sole purpose of tracking VMware performance. In short: the tracking stock will be eliminated as it is traded, at a premium, for Dell's privately owned common stock, which will then be directly listed on the public New York Stock Exchange. The complex details of that transaction can be found in this Dell press release. Dell will then directly list this stock as a new class of shares under a yet-to-be-announced ticker symbol, on the public market. This route saves it having to go through the formal, underwritten IPO process and all of the questions this brings, primarily regarding Dell's sizeable debt pile. Michael Dell, who currently owns 72 per cent of Dell Technologies common shares, is a big winner of the deal. He will own somewhere between 47-54 per cent of the newly public company and will continue to serve as chairman and CEO.